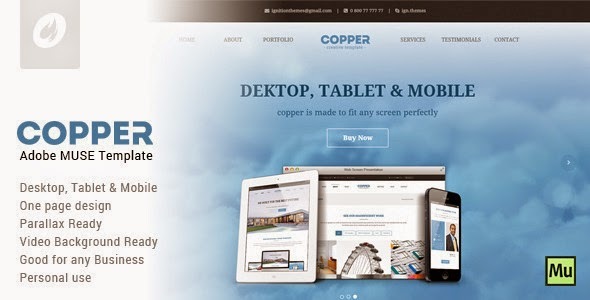 Copper is a beautifully simple, and striking “One-Page” Adobe Muse creative template. It is perfect to use, from freelancer to agency, and everything in between. The template is fully responsive, and looks amazing on your smartphone, tablet, and desktop. Includes Desktop, Tablet and Mobile Versions. Item Reviewed: Copper - Creative Adobe Muse Template 9 out of 10 based on 10 ratings. 9 user reviews.